Conservative Party co-chairman Grant Shapps has dismissed reports that he masterminded edits to Wikipedia to improve his public image and smear party rivals. Wikipedia administrators tracked the activity of a user known as Contribsx and claimed the account was used as a "sockpuppet". 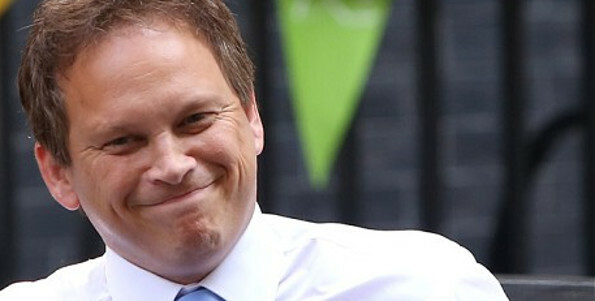 The account edited huge chunks of Shapps' profile, mostly to remove embarrassing references relating to a Twitter gaff and Shapps’ business dealings, according to reports in The Guardian. Previous alleged edits have also included removing exam results and political donations. At the same time Contribsx is believed to have introduced negative comments into the profiles of fellow Tory party members, including foreign secretary Philip Hammond. A line was added to Hammond’s profile highlighting the fact he opposed the party line on gay marriage: "Philip Hammond abstained and become one of four Cabinet ministers not to vote in favour of gay marriage." Changes were also made to the pages of Justine Greening, the international development secretary, and Lynton Crosby, Conservative election campaign strategist. The administrator at Wikipedia told The Guardian the account was "either run by Shapps directly" or by someone else "but under his clear direction". Shapps vehemently denied he was responsible for the changes, telling the BBC it was "the most bonkers story I've seen in this election campaign so far". The co-chairman claimed he would write to Wikipedia's headquarters in California to complain and told Newsnight he was also considering making a complaint against The Guardian. Prime Minister David Cameron addressed the issue at an election event in Bedford, suggesting that no further action would be taken. "Grant does a great job, he's made a very clear statement about this, and I have nothing to add," Cameron said.